Alpaca Throw in Natural Alpaca Colours. Undyed - Pure Alpaca - Colour APACHE. Made by Masterweave in Masterton, New Zealand, as part of their Windermere range. Throw size: 125cm x 185cm. Alpaca Throw in Natural Alpaca Colours. Undyed - Pure Alpaca - Colour FRIESIAN. Made by Masterweave in Masterton, New Zealand, as part of their Windermere range. Throw size: 125cm x 185cm. Alpaca Throw in Natural Alpaca Colours. Undyed - Pure Alpaca - Colour CANTERBURY. Made by Masterweave in Masterton, New Zealand, as part of their Windermere range. Throw size: 125cm x 185cm. Alpaca Throw in Natural Alpaca Colours. Undyed - Pure Alpaca - Colour GRANITE. Made by Masterweave in Masterton, New Zealand, as part of their Windermere range. Throw size: 125cm x 185cm. Alpaca Throw in Natural Alpaca Colours. Undyed - Pure Alpaca - Colour SAND (Fawn Colours). Made by Masterweave in Masterton, New Zealand, as part of their Windermere range. Throw size: 125cm x 185cm. Alpaca Throw in Natural Alpaca Colours. Undyed - Pure Alpaca - Colour CREAM. Made by Masterweave in Masterton, New Zealand, as part of their Windermere range. Throw size: 125cm x 185cm. Please note there is also a boucle version of this natural-cream coloured alpaca throw. Alpaca Throw in Natural Alpaca Colours. Undyed - Pure Alpaca - Colour PLATEAU. Made by Masterweave in Masterton, New Zealand, as part of their Windermere range. Throw size: 125cm x 185cm. Alpaca Throw in Natural Alpaca Colours. Undyed - Pure Alpaca - Colour PUMICE. Made by Masterweave in Masterton, New Zealand, as part of their Windermere range. Throw size: 125cm x 185cm. Alpaca Boucle Throw in Natural Alpaca Colours. Undyed - Pure Alpaca - Colour CREAM. Made by Masterweave in Masterton, New Zealand, as part of their Windermere range. Throw size: 125cm x 185cm. Please note there is also a brushed version of this natural-cream coloured alpaca throw. Alpaca Boucle Throw in Natural Alpaca Colours. 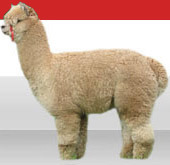 Undyed - Pure Alpaca - Colour FAWN. Made by Masterweave in Masterton, New Zealand, as part of their Windermere range. Throw size: 125cm x 185cm. Alpaca Boucle Throw in Natural Alpaca Colours. Undyed - Pure Alpaca - Colour PEAT. Made by Masterweave in Masterton, New Zealand, as part of their Windermere range. Throw size: 125cm x 185cm.